I belong to a family where the education is given the topmost priority and hence my parents have always stressed the importance of quality education. They always provided the environment conducive to learning. And my academic journey speaks all. My primary education started from Ram Sevak Lal High School, Masaurhi,Patna where I studied till Std VII. For my further studies, I went to Gov. High School,Nadwan, Patna, a vetron in BSEB course where I completed my matriculation (X) and then moved to A.N. college,Patna for my XII in BSEB Boards. 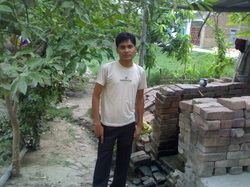 There I got motivated for the preparation of AIEEE(All India Engineering Entrance Examination). I joined JEE Classes,Bhootnath road, Patna in direction of Er. A.N. Singh for the same and finally got selected in AIEEE 2009 to make it to IITT,Kala-Amb(HP) for the graduations.